Soak 12 wooden skewers in water. Preheat grill to medium high heat. 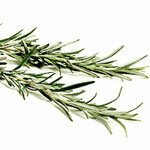 Combine rosemary, oil, garlic, lemon zest, lemon juice, salt and pepper in a medium bowl. Add the salmon, toss to coat. Alternate the salmon and tomatoes filling skewers. Grill for 4-6 minutes per side. This entry was posted in Entrees, Metabolic Medical Center Recipes, Modified Profast (Fast and Flexible) Recipes, Party & Entertaining, Seafood and tagged grill, kababs, rosemary, salmon by foodies4mmc. Bookmark the permalink.